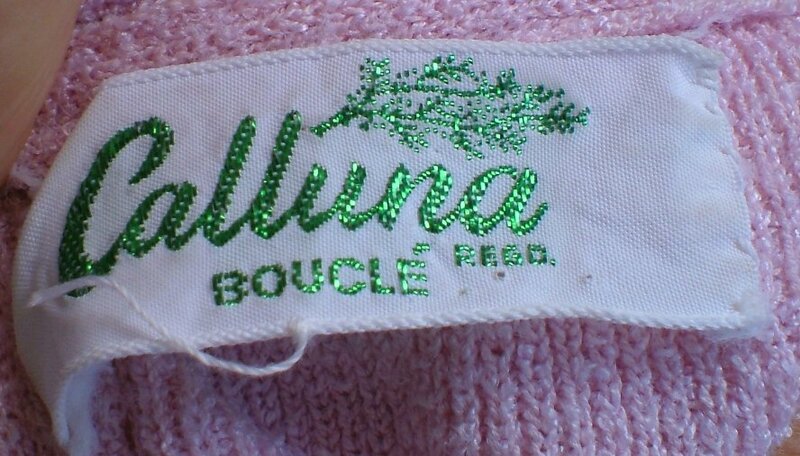 1950s vintage pink beaded boucle top by Calluna. 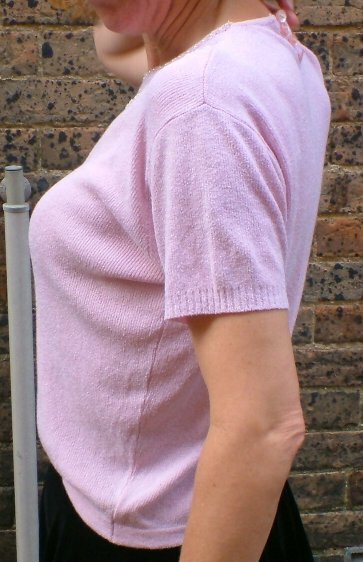 This is such a pretty top, and so useful - great with causal or formal wear! 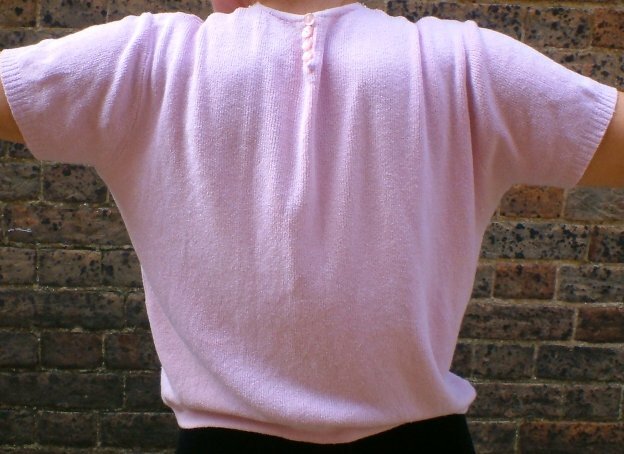 It's very pale pink, in a boucle knit, a square shape with short sleeves and four buttons jostling for position at the (2½-inch) back closure. 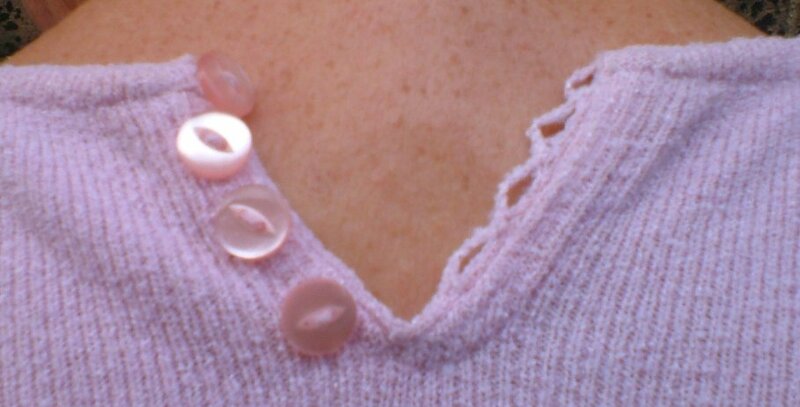 The neck is decorated with pearl beads and a continuous pattern of silver leaves in outline. In excellent vintage condition, with no apparent faults or flaws, approximate measurements are bust 40 ins/101.5 cms, length 19 ins/48 cms, with plenty of stretch if required.